Before NetEntertainment emerged with the Vikings TV show themed slot, Yggdrasil had already boarded the Norse bandwagon. Vikings Go Wild was the first of their Viking titled slots and this has now been joined by Vikings Go Bezerk. The slot features rage and bezerk modes that see the Vikings plunder free spins. But will they be able to ransack this slot to help you get the treasure? Vikings Go Bezerk is a 25 payline 5 reel 5 row slot. Set on the back of a Viking Longboat, the reels form the sales of the boat. At the bottom of the slot are a series of Vikings and these are bookmarked by saucy sirens. All these characters play a role in the game! Wagering on the slot starts at 25p (1p per line) but this can be increased to £125 (£5 per line). Gameplay is accompanied by a dramatic soundtrack that wouldn’t be out of place on the Vikings TV series. Ragnorak is the top paying symbol on the slot. Get five of a kind for a x250 win. The other Vikings are the next highest paying symbols at x200, x175 and x150 respectively. The remaining symbols on the reels are made up of coins including gold, silver and bronze. These are the low paying symbols. When spinning look out for the Treasure Chest that can appear on reel 4. 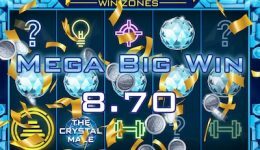 Select a chest to win a multiplier or free spins bonus. 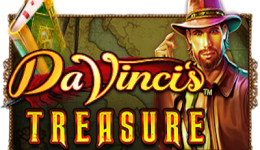 Similarly a Golden Treasure Chest can appear on reel 5 and offer higher multipliers or free spins. Free spins can be won when 3 or more free spins scatter symbols appear on the reels. 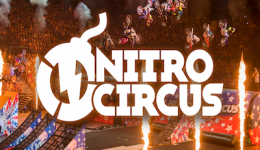 These can trigger 7, 14 or 21 free spins plus a bonus. The bonus can be all Vikings Go Bezerk (Ragnorak Free Spins), Sticky Wilds, Sticky Wild Reel, Free Spins or Extra Chests & Golden Treasure Chests. Vikings can become sticky wilds in this mode – but they have to defeat the Siren. When you win a spin with a Viking symbol involved then this adds rage to their meters at the foot of the slot. When a meter is full this also activates free spins. The winning Viking goes into Bezerk mode and always beats the Siren. Confused? Well that’s not a surprise. There is a lot going on within this slot but it’s all fairly self explanatory once you start spinning the reels. Yggdrasil Gaming are rapidly making a name for themselves. 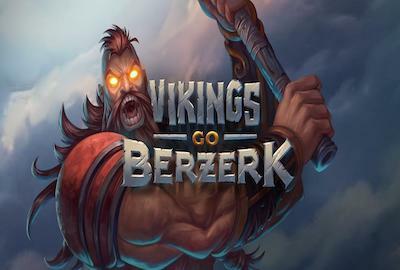 Vikings Go Bezerk is a successful sequel to Vikings Go Wild. Yes there’s a lot going on, but Yggdrasil have managed to cram it all in in a clever and entertaining way. We found that wins were regular but not spectacular. However this is a high variance slot that can pay out up to x4000 your stake. It might not look as good as NetEnt’s Vikings TV show spin off, but it’s just as enjoyable to play.